Kremlin-controlled Supreme Court of Crimea revised the sentence against political prisoner Volodymyr Balukh, the Crimean Solidarity public organization reported on Facebook. Thus, the “court” did not satisfy the defense appeal, but reduced the serving period of Balukh in a general regime colony from 5 years to 4 years 11 months, leaving the fine in the amount of 10 thousand rubles in force. The “court” made such a decision, “considering the positive characteristic of Volodymyr Balukh”. The “court” considered the appeal against the decision of the court of first instance. During the meeting, the defense asked for the presence of Balukh at the meeting, but the court rejected it. The meeting also took place without the “victim” – the head of the Razdolnensky detention center, Valery Tkachenko. During the meeting, Balukh’s public defender Pavlo Kushch (Archbishop Klement) filed a motion to dismiss attorney Taras Omelchenko, since the letter was a witness in this criminal case. Journalists were forbidden to take pictures in the court hall. The appeal of the defense of the Ukrainian political prisoner was to take place on September 24. However, the "Supreme Court" postponed the meeting. 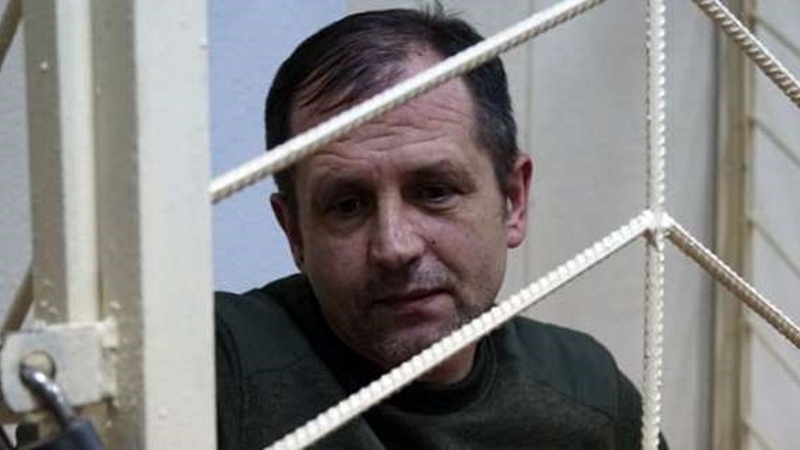 Reference: The Razdolnensky District Court controlled by the Russian Federation sentenced Volodymyr Balukh to 5 years in a general regime colony and a fine of 10 thousand rubles in the aggregate of two criminal cases - allegedly for beating the head of the detention center in Crimea and for illegal acquisition, sale and possession of weapons. March 19, 2018 Balukh went on an indefinite hunger strike.